I thought I wanted a Harley. But two things happened. First, I saw the price tag for used bikes. The going rate for a late model Road King in the Bay Area is upwards of $12,000. At that price you’ll get something that’s 7-10 years old with no less 20,000 miles on it. It’s a hard reality borne out on in weeks of Craigslist research. There are a few “bargain” Road Kings to be had for as low as $7,500 but you get the impression they’re tired machines that have hauled one too many fat men on one too many poker runs. It gave me pause, especially considering the relatively short lifespan of a Harley. Still, I was not deterred in my pursuit of the mighty Hog until one other thing happened. I rode one. Or three, actually. 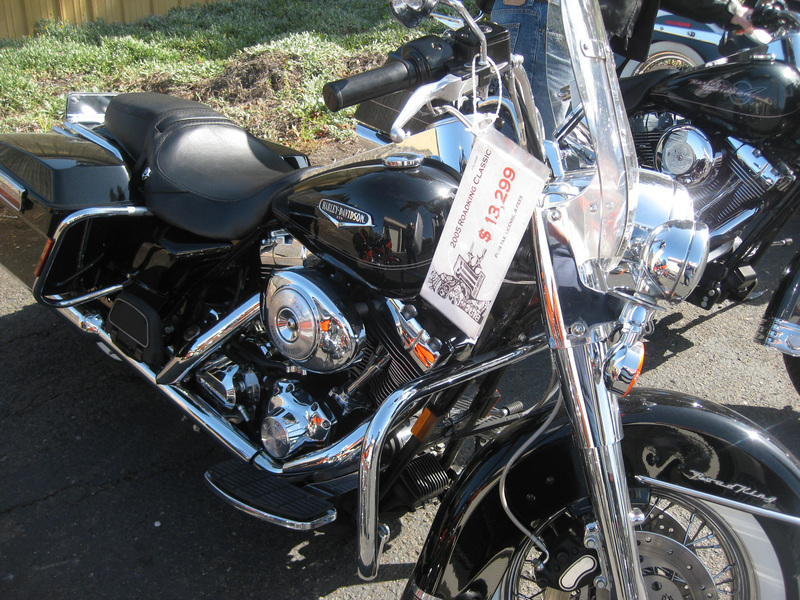 Salesmen at two local dealerships were kind enough to hand me the keys to three bikes: a 2002 with 25,000 miles for $9,000 and two ’05 Road Kings – one with 35,000 miles and the other with 64,000 miles — for about $13,000 apiece. My impressions were not good. Coming off a BMW, it was immediately apparent that these bikes are not built well. It seems Harley uses cheap materials and things don’t fit right. Cables aren’t routed well and sheet metal seems tinny. Function is an afterthought. Certain American cars of the 1980s come to mind. Riding a Road King is no less a disappointment. The 2002 rattled and coughed as I wrung it out on a country road. I instantly ran up against bike’s rev limiter. And I wasn’t going much over 60. The newer bikes were slightly better but they too seemed clunky and slow. The one with the lowering kit scraped its running boards in the parking lot. I voiced my concerns to the affable salesman, who nodded as if he’d heard it before. As he spoke, an elderly couple in leather chaps and vests strolled by. They started talking to another guy wearing a black Harley T-shirt. I’m not looking for a new lifestyle, I thought. I’m looking to ride. And you know what? A Harley just won’t do.